Get a cash for cars quote! 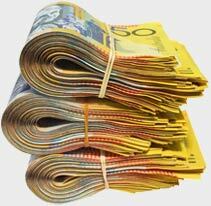 Get up to $6000 instant cash for your car, 4×4, van or truck. Top cash quotes & instant payment on pickup. FREE vehicle removal – same day pickup. Servicing Brisbane, Gold Coast, Sunshine Coast & Toowoomba. or fill out the form on the right to email us – we’ll get back to you asap with a cash quote.